The Toyota Prius Liftback offers style and value that other hybrids simply cannot match. Buy with confidence knowing that 90% of all Prius models sold over the last 10 years are still on the road today*. Impressive fuel economy ratings, a roomy interior, and advanced safety systems highlight the value offered by the Toyota Prius. 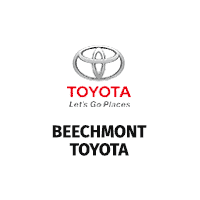 Enjoy the peace of mind from the Toyota Certified Pre-Owned Vehicles program. Every certified hybrid vehicle must pass a 174-point inspection and comes backed by a 12-month/12,000-mile Limited Comprehensive Warranty and a 7-year/100,000-mile Limited Powertrain Warranty**. Explore the full range of Prius models and find your perfect vehicle. *Based on IHS Markit Vehicles in Operation as of July 2016 for Model Years 2007-2017 vs. Total New Registrations for those vehicles.